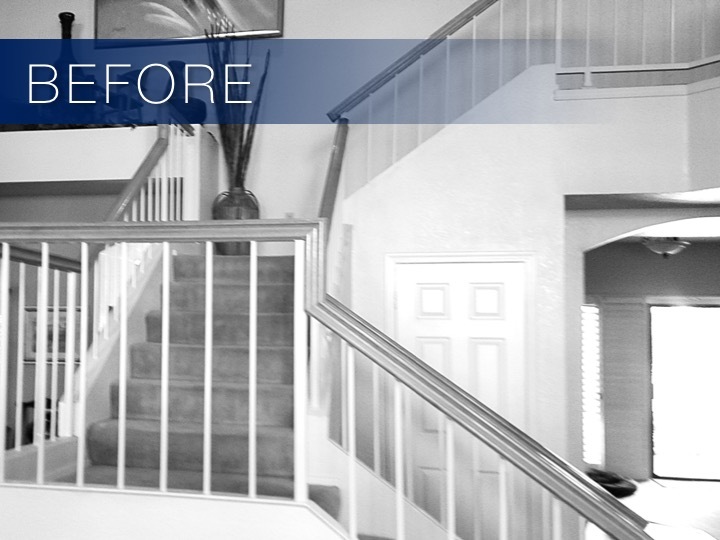 A staircase remodel can have a huge impact on the look and feel of a space, and homeowners are often surprised to learn that stair makeovers are available as a turnkey, cost-effective solution. 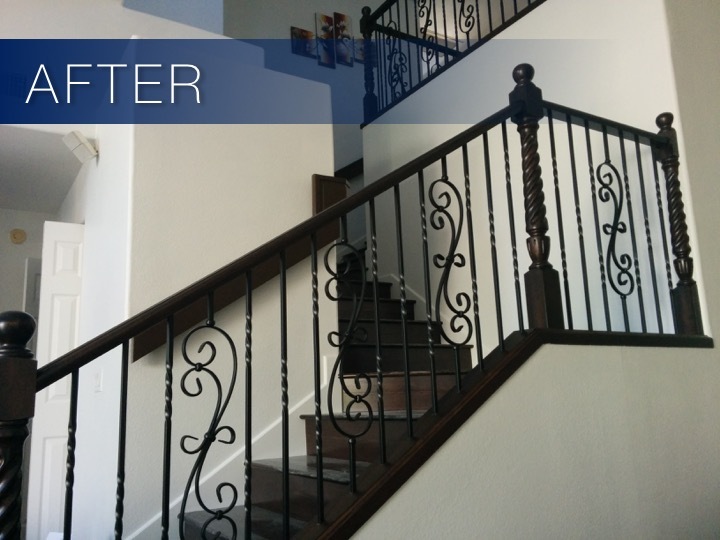 Whether you are seeking to upgrade to metal balusters, replace treads and risers, or remove walls to install a beautiful handrail system, our team will plan and execute the perfect staircase for your home and budget. Why Choose Artistic Stairs for Your Stair Remodel? TRUSTED. 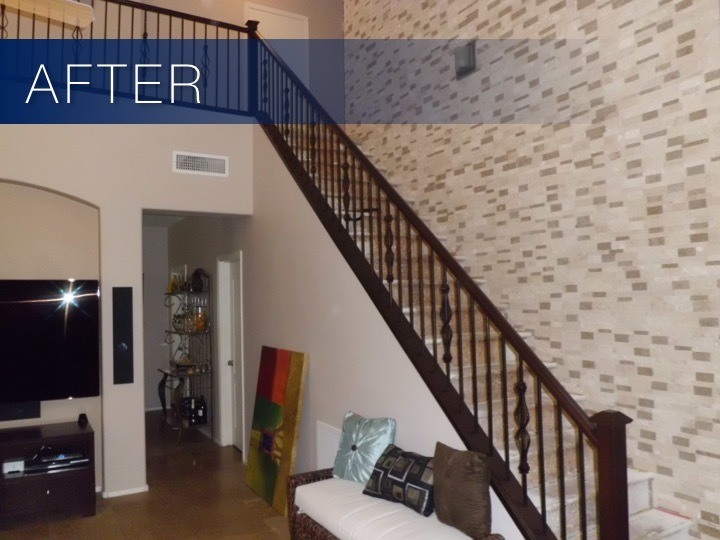 Our industry-leading team leverages experience and skill to enhance clients’ homes through staircase remodel projects. 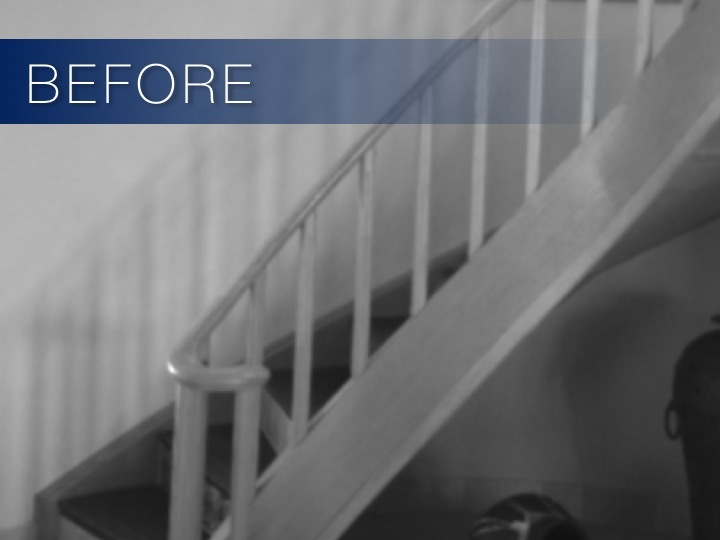 Following a streamlined process that involves minimal disruption and a quick turnaround, we complete most stair makeovers in just two days. CREATIVE. 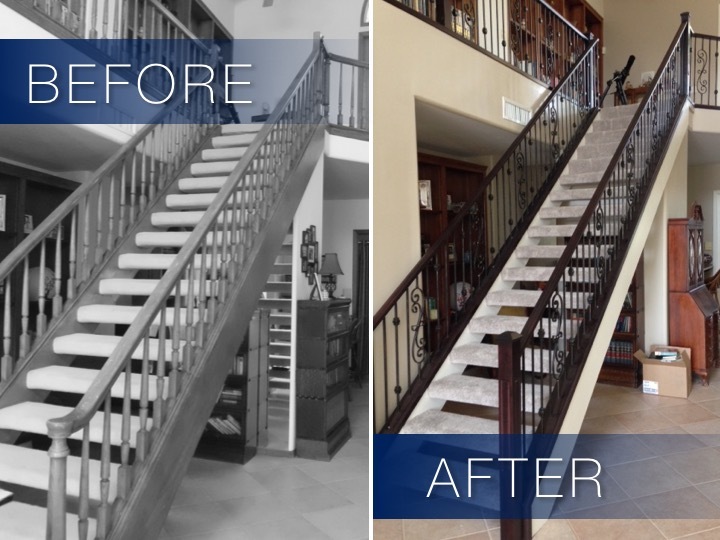 Whether you have specific improvements in mind or are seeking staircase upgrade ideas, our award-winning design team will work with you to bring your vision to reality. 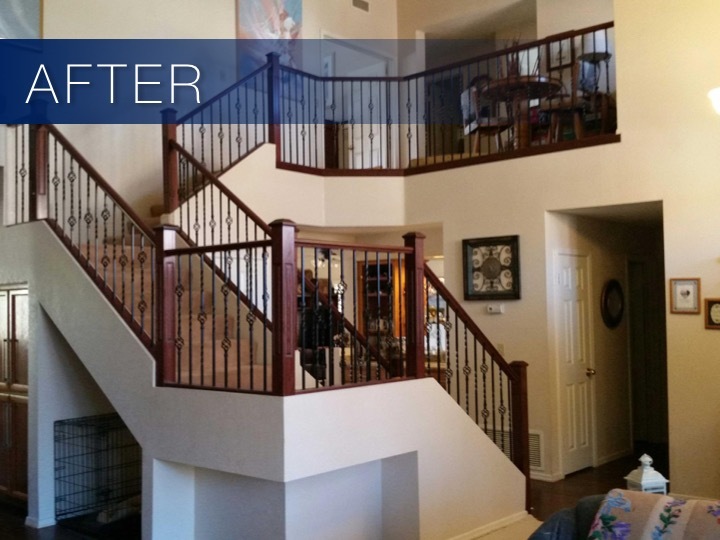 With a wide variety of styles, our team works with all species of wood and a full range of baluster styles, from traditional wood to modern metal. INNOVATIVE. 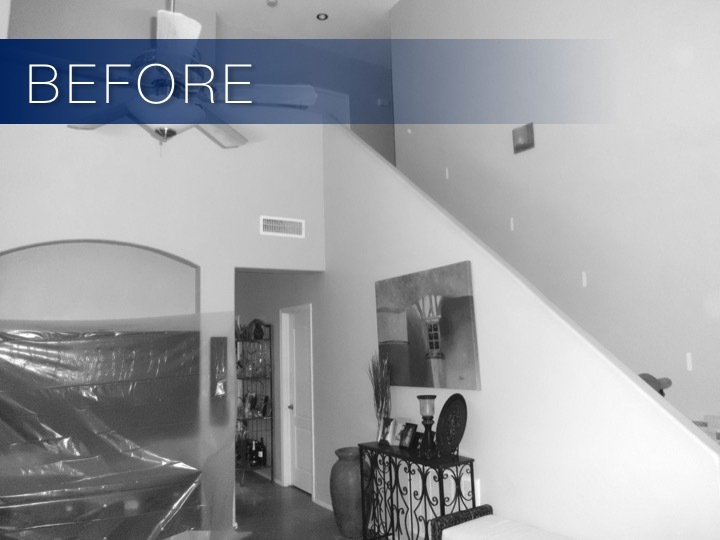 Our remodel team has the experience and knowledge to embrace the most challenging projects. 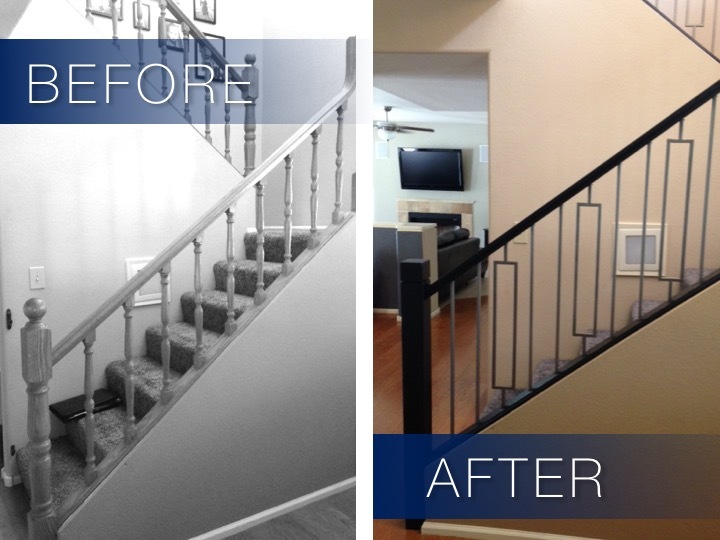 Working within your budget and your home’s infrastructure, our stair makeover solution will truly transform your space. SKILLED. 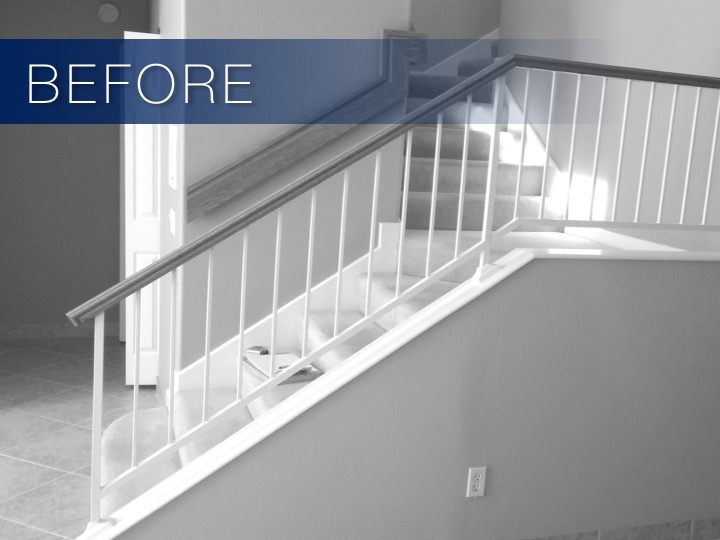 From demolition and wall removal through finishing, our craftsmen share the high expectations of our clients and strive for perfection in each staircase overhaul that we perform. ACCOMPLISHED. 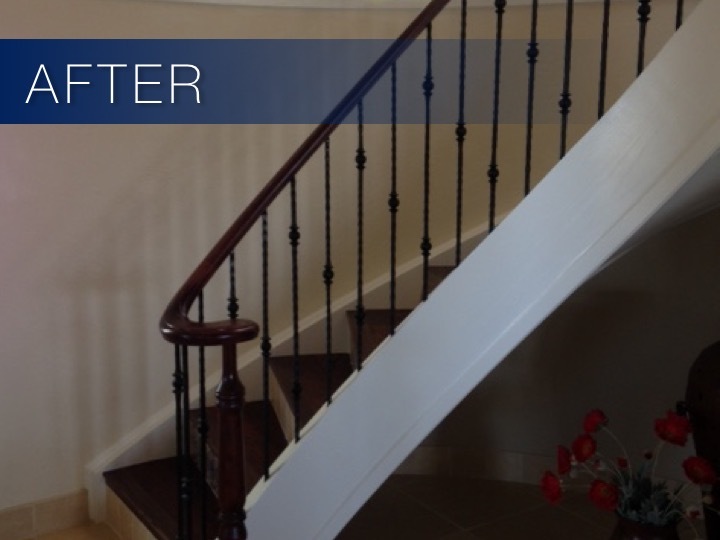 Our extensive portfolio includes stair makeovers from simple baluster upgrades to complete renovations. We are proud to provide the highest quality craftsmanship combined with premium customer service. Our creative design team offers complimentary design consultations. Whether you have a specific style in mind or are interested in browsing our showroom for inspiration, contact us today. We will work with you to bring your vision to life.